The Dance of Earth's Most Dangerous and Earth's Most Feared. 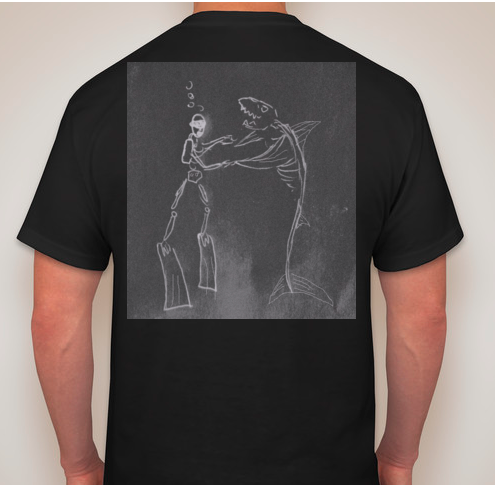 Shark skeleton and Scuba Diver Skeleton dancing underwater. First glimpse of the new Price of Existence t-shirts coming out next week. 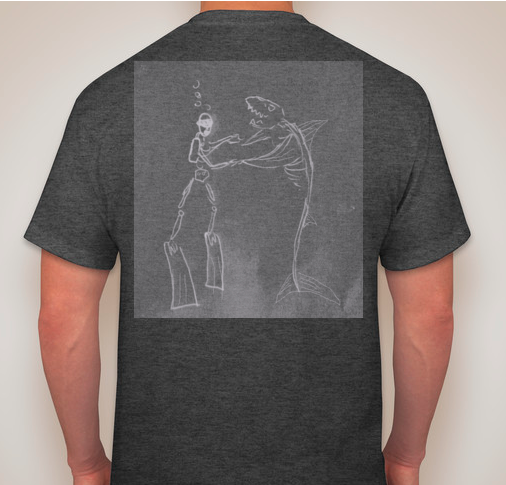 Obviously the gray box will be gone from the design once I transfer this to the shirts. Just wanted shirt fans to get a glimpse. You can preorder on Etsy now.